Vancouver Sun Asks - Are Co-ops the solution to Occupy Wall St. Woes? The Manitoba CD/CED Gathering is Another Hit! The 2011 Manitoba Community Development/Community Economic Development Gathering was a huge success! 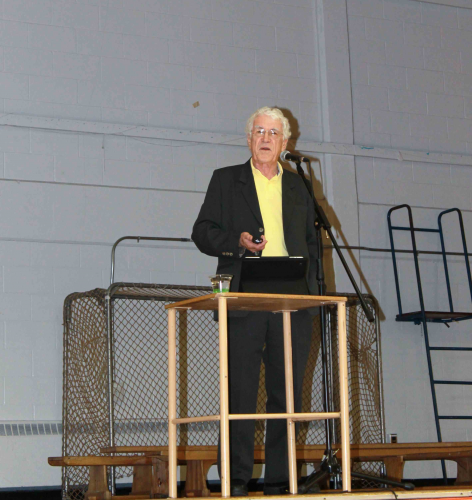 With over 500 people attending, a great key-note speech by Silver Donald Cameron, and 26 workshops, it was an inspiring day. There was lots of great, locally sourced food from social enterprises and co-operatives. Our vision for the Manitoba Gathering is to provide an inspiring annual opportunity for people in community development and community economic development to connect, learn and celebrate together. The early feedback coming in shows we did just that! Of course, CCEDNet shares this success with the many people and organizations who help make the Gathering happen every year. We would like to thank the Gathering planning committee members, sponsors, the many volunteers, and everyone who came out with the goal of learning how we can works towards a future where everyone has enough, forever. 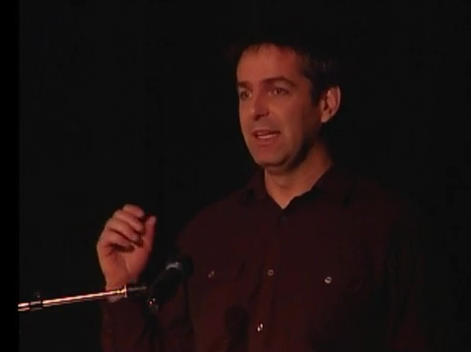 A presentation made by Brendan Reimer - CCEDNet's Prairies and Northern Regional Coordintor/YouTube sensation - is now available online. 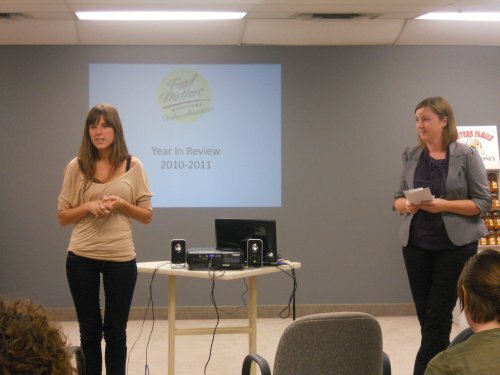 The presentation was made at the 2010 Northern Summit on the Social Economy. Brendan speaks about CCEDNet's approach to collaborative research and policy work, and how these mandates come together to support poverty reduction initiatives and the social economy. The Summit was held in Whitehorse, Yukon from November 2nd - 4th, 2010 as a part of research activities of the Social Economy Research Network of Northern Canada (SERNNoCa). CCEDNet's Kirsten Bernas accepts a contribution from the Winnipeg Foundation on behalf of the St. Vital Community Food Assessment at Food Matters Manitoba's Annual General Meeting. 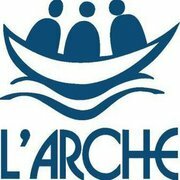 L’Arche Winnipeg’s mission is to create homes with people who have an intellectual disability where faithful relationships based on forgiveness and celebration are nurtured, to reveal the unique value and vocation of each person, and to change society by choosing to live relationships in community as a sign of hope and love. The Jubilee Fund seeks to raise awareness and address poverty and injustice by bringing together resources to support community projects, housing and small business or worker co-op. The Fund helps groups and individuals in low-income areas improve their living conditions and financial capacity. 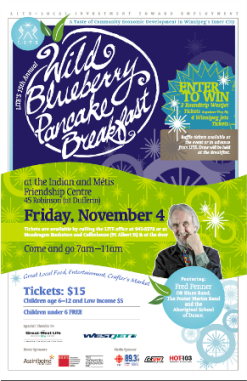 Friday, November 4th is the 15th annual LITE Wild Blueberry Pancake Breakfast. A $15 dollar ticket will give you access to delicious local food, great entertainment and a crafter’s market while simultaneously supporting the important work pursued by LITE. Assiniboine Credit Union and its community partners took a major step towards closing the disparity in access to banking services in Winnipeg’s North End. Coming full circle, an old abandoned bank building located 360 McGregor will become Manitoba’s 25th ACU branch. In a show of confidence, early investors exceeded expectations thus providing the financial assurance of long-term stability. Gary Lowen, chair of board, offers that “this is a perfect example of how people can vote with their dollars to help make things happen in the community.” The credit union’s leadership hopes that this decision will be taken as affirmation of its longstanding commitment to community economic development. In order to create jobs for residents it has also been announced that the necessary construction will be done through Inner City Renovations. MCA recently recognized four individuals for their contributions to their communities and the co-operative sector in Manitoba. MCA recently recognized Wayne Mcleod with the Distinguished Co-operator Award. The three recipients of the Cooperative Merit Award include Marchel Daenink, Red River Co-operative and the Belgian Credit Union. Lastly, the Assiniboine Credit Union was rewarded with the Co-operative Achievement Award. CCEDNet would like to extend its congratulations to these distinguished individuals as well its thanks to the MCA for annually making the effort to pay credit where credit is due. In partnership with the University of Waterloo, Economic Developers Association of Canada, and the Economic Developers Association of Manitoba, Winnipeggers have a unique opportunity to participate in a special program this November. Entitled Fundamentals of Community Economic Development this course will examine various CED models, the larger Canadian economic context, community marketing strategies, business retention and more. Looking for a chance to discuss innovative local ideas while connecting with fellow economic development officers? Then come and participate in Economic Developers Association of Manitoba's 2011 fall forum “Creative Economy” held November 2-4 in Otterburne, MB. The United Way of Winnipeg will be hosting the Charity Law Seminar Series starting November 16. The five seminars will take place on Wednesday’s ranging from Nov 16th to Apr 18th. With a different focus each session, the participants will gain a firm grounding in the legal and regulatory environments within which charities and non-profits operate. Premier Greg Selinger announced a host of programs “designed to help keep Manitoba youth engaged in their schools, active in their communities and supported with the tools that they need.” Work2it will provide pre-employment training starting in Winnipeg and The Pas. Funding has been made available for youth pursuing social justice projects through the Youth Making a Difference Grant Program. Seven schools across the province will pilot the Manitoba Mentors -Connecting Learning and Work program. Manitoba Mentors, which was modelled after Chicago’s heralded After School Matters program, will see students matched with employers for group mentoring, site visits and job placements. The results are in and they reveal strong support for the enduring strength of cooperatives! In partnership with BALTA, researcher Carol Murray shows that between 2000 and 2010, 66.6% of co-operatives in BC were still operation five years after incorporation. In contrast, only 39.5% of conventional business were still operating. Why is this the case? Key factors include: strong financial planning, engaged members, active board participation, sound consulting practices and clarity of purpose. The research echoes previous results drawn from studies conducted in Quebec. The findings of a related study currently being undertaken in Alberta are highly anticipated. Calling all graduate students! In collaboration with the Institute for Non-profit Studies of Mount Royal University, ANSER-ARES is offering two Graduate Student Research Awards. Designed as on opportunity to foster and acknowledge research excellence, any student whose academic focus pertains to non-profits and/or the Canadian social economy may apply for the $2,5000 grant with the expectation of furthering applied research. 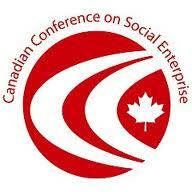 Organizers of this year’s Canadian Conference on Social Entreprise have issued a call to social enterprising Canadians from coast to coast to coast. Held November 20-22 in Halifax, Novia Scotia this event is designed to bring together a wide range of stakeholders, from practitioners - both new and experienced - to government actors, supporters and funders. This is a great chance to share ideas and best practices while benefiting from the collective energy. 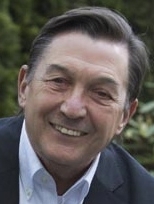 Social entrepreneur guru David LePage has published a thought provoking short essay on the future of social enterprises. Employing the analogy of a jigsaw puzzle, the kind without “a picture on the lid and everything, but with whatever pieces they and their friends bring to the table,” LePage describes the gradual assembly of this diverse sector. Seeing the multitude of existing models as an asset, he stresses the need for inclusion and collaboration. The focus must remain on how best to blend effective business measures with progressive social values. Which business model in B.C. controls more than $10 billion in assets, employs 13,000 people and returns all profits to members? The answer is, of course the co-operative model, which a recent Vancouver Sun article touts as a viable option that meets many of the pressing demands of the Occupy Wall Street Movement. Speaking on behalf of the B.C. Co-operative Association, John Restakis argues that co-ops, both big and small, are a mechanism for democratizing the economy. So whether it is by shifting your consumption to a local co-op or by spreading public awareness about the existence of market alternatives, be sure to join the celebration of a movement that is very much a vanguard of new ideas. 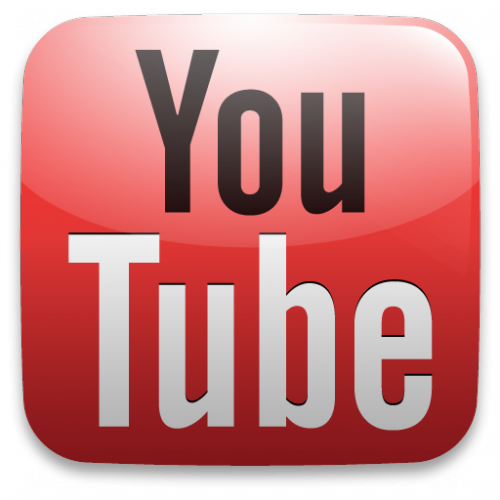 Webinars are an effective, low cost way to connect people and their ideas. The Meauring the Co-operative Difference Research Network is making use of this technology to offer an overview of the current tools and resources available to co-op researchers and practitioners. If you have questions, you are likely to find answers with the help of this thoughtfully assembled panel of co-op researchers and practitioners. In another instance when social media is being used as a force for good, a Facebook event entitled “Bank Transfer Day” is encouraging people to opt for credit unions. More than 55,000 people have pledged to make the switch. Creator Kristen Christian cites the Occupy Wall Street ethos as an inspiration. 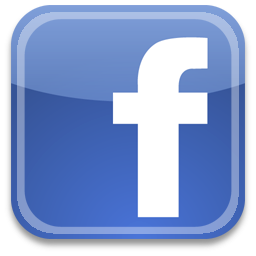 In addition to visiting the Facebook page, those interested may also find information through the U.S. Credit Union National Association (CUNA). Are you - or is someone you know - an Aboriginal youth interested in international development projects? The International Aboriginal Youth Internships offer incredible opportunities to partake in project overseas, including extended stays in Uganda or Jamaica. Click here for further information on eligibility, registration and projects.